One of the best perks of being a makeup artist is all the new fabulous beauty lines I’m able to test. Recently, a few amazing lines have crossed my path, and I’m dying to share them with you. The Moscow- and London-based brand Rouge Bunny Rouge is my current favorite and has a wide range of beautifully packaged makeup and skin care products, along with brushes and fragrances. I adore the Looks page on their website that allows you to choose a model’s makeup look, so you can learn which products were used to create it and see instructions on how to re-create the look at home. Try the Blush Wand in Cheeks In Bloom, the Sea Of Tranquility Highlighting Liquid (try mixing it into your favorite moisturizer and apply it on your body), the Brightening Liner Duo in Eyes Wide Open, and the Loose Glitter Pigment in Fire Drops, which will work with any woman’s coloring. I’m always on the hunt for a cool makeup satchel, and the little coin bags from See Design are the perfect small size for storing your compact and lipgloss. Made from 100 percent cotton canvas and at a price of around $12 each, you can be organized, look chic and not break the bank. 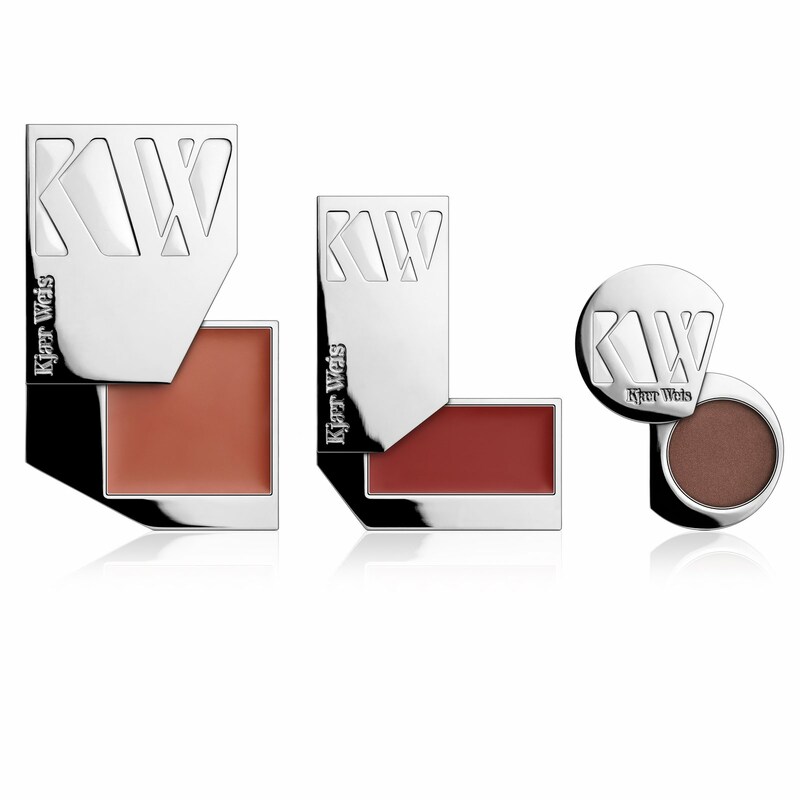 The organic makeup line Kjaer Weis is a small, but luxurious, collection of cream blush, tinted lip balms and eyeshadow singles. It is a refillable makeup system that offers the refills in recyclable packaging, so when you run out of a product in your sleek silver container, just drop in the new product and off you go. I’ll keep you posted on any new things I discover, as it’s a real treasure hunt for me and so much fun to share!